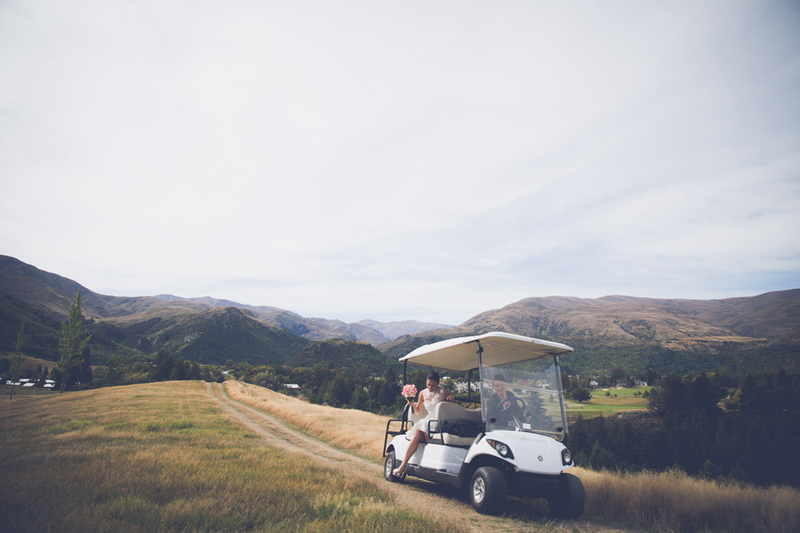 Carla and Mitchell didn’t tell anyone they were coming to Queenstown to get married. The Melbourne couple ran away together to get married at Millbrook Resort on a stunning Autumn’s day. Carla said her dress was ‘the least like a traditional wedding dress I could find,’ which summed up the couple really. No fuss. No frills. Just love and joy to be exchanging vows in the sunshine. The ceremony was held on a hillside overlooking Lake Hayes, and then a helicopter whisked the couple up to The Ledge on Cecil Peak where Carla skillfully negotiated the rough, uneven terrain in some impressive high heels:) Thanks so much for inviting me along. I loved photographing your secret elopement. What an honour to share that special afternoon with you both.